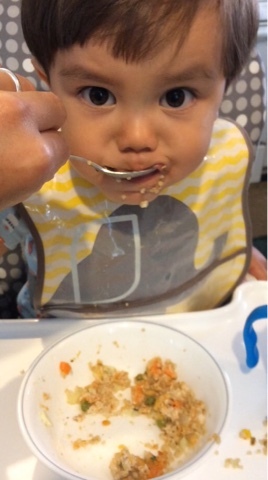 The Vegan Mouse: Baby Food. 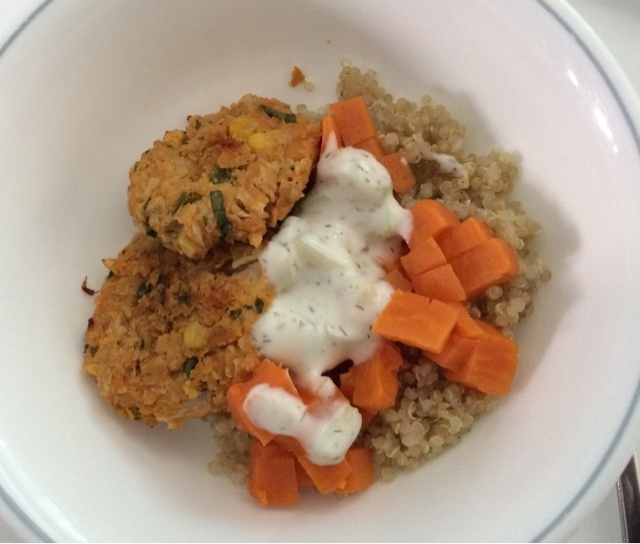 Baby's dinner tonight was sweet potato falafel, quinoa, boiled sweet potatoes and tzatziki sauce. 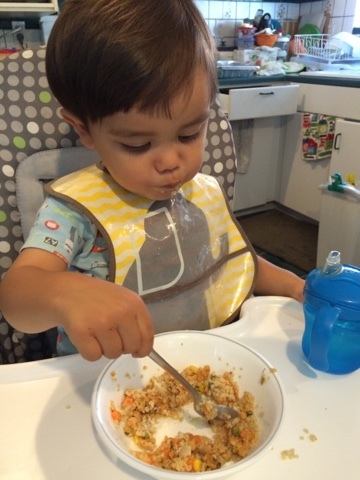 His first time eating quinoa and he liked it! He is so stinking adorable! Those big eyes!!! Yesterday's sauce tossed with pasta. Easy Peasy Pasta (Sauce) from Bosh!